The hotel lobby is one of the most important rooms in a hotel, it is the first point of call and sets the first impressions. The space offers a common area to meet and greet visitors, relax with a drink and further discover what the hotels has to offering. The lobby creates particular exchanges that further add to the experience of the stay. With a selection of products that present versatility and durability, we showcase the possibilities of achieving a stylish hotel lobby with our pick of inspiring examples from hotels around the world. Elegant wooden floors, elemental furnishings in textured colours and patterned wallpaper all make up the essential features of the interiors of this Parisian hotel lobby. The lobby is furnished with a charming collection of high back sofas and armchairs set against a mellow and sophisticated pattern and colour palette. The refined interiors mirror a timeless reflection of Parisian heritage and as well a warm welcome to Hotel Paradis, the lobby is an ideal place to catch up over tea or coffee away from the hustle and bustle of the busy street. Aligned with striking features and an impressive level of comfort, the 44 armchair is a classical reception chair offers an ideal choice for creating seating within a mellow and charming hotel lobby space. 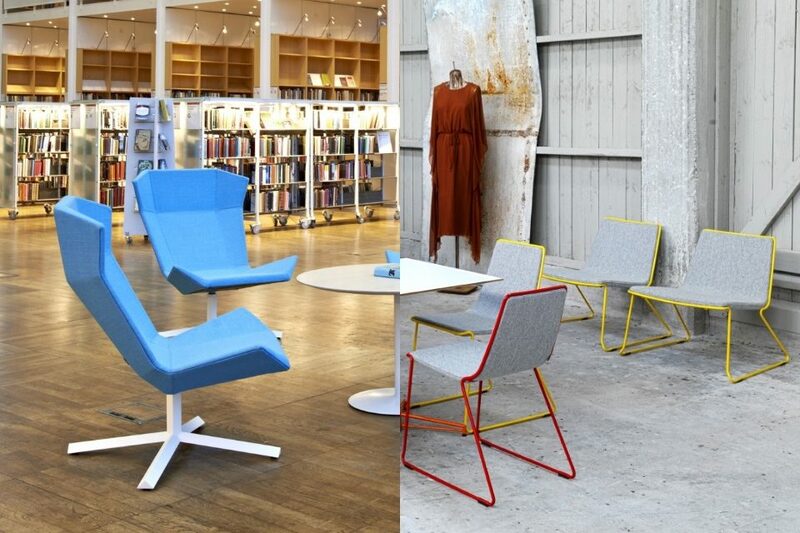 The 44 armchair comes with a comfortable foam seat and backrest and wooden base leg options. The low version makes a suitable choice with it’s offering of a varsity of fabric, leather or faux leather upholstery finishes. Made to stand out, the Cocoon reception sofa is a stunning example of modern comfort and vanguard design. The high back and arms generate the feeling of sitting and relaxing in a private space, whilst overlooking external surrounds. Add the cocoon to an elegant space to create a small enclave within a hotel lobby. Slick lighting compositions, architectural interiors and an organic formation made from stones create this less than ordinary hotel lobby. Guests at the Ambassador Hotel are treated to an array of lighting schemes that mirror the time of day or adjustments according to any special occasion. The organic shapes take inspiration from the form of Mediterranean caves with a series of inspired by water-washed stones. The lobby features a space that has been created in a U-shape form featuring soft booth seating in a matching colour tone. 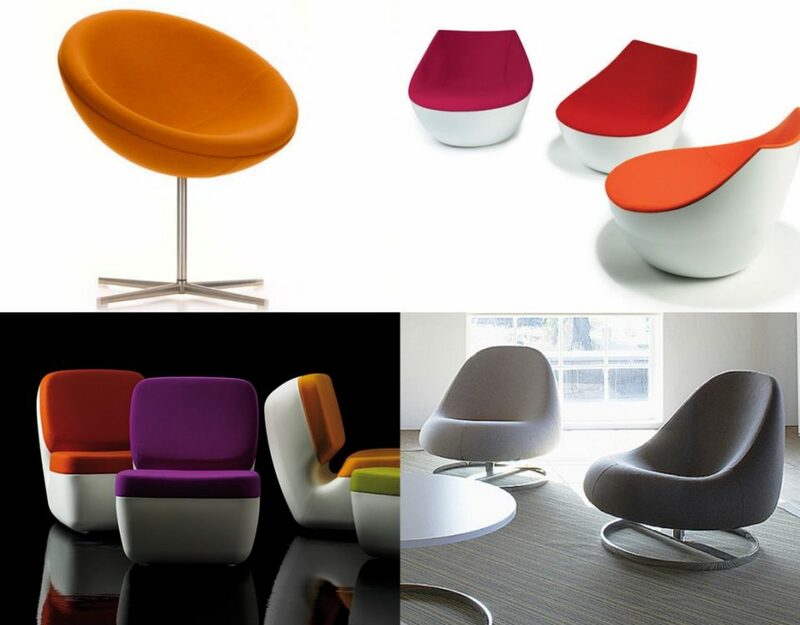 Casual leather chairs are used in the functional spaces surrounding the main reception desk area. The lobby is an ultra-modern design merging together organic and natural shapes along with high-tech lighting formations. 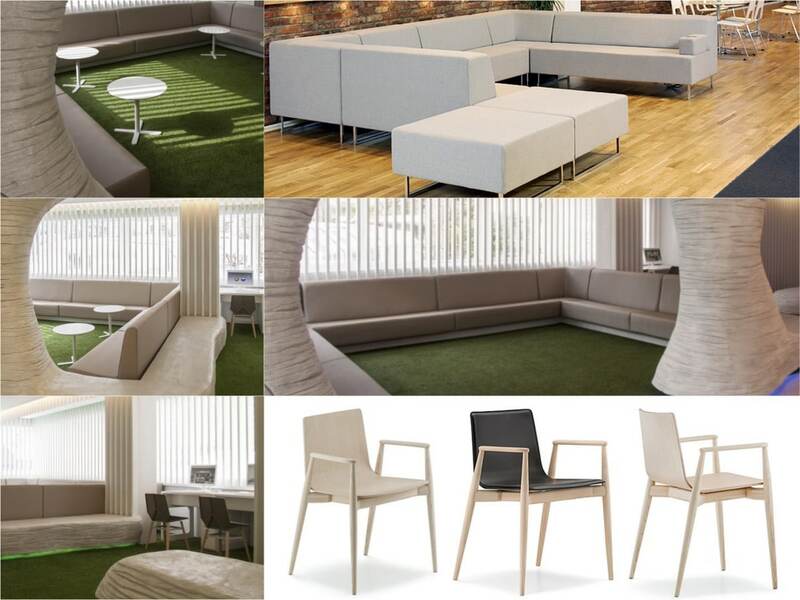 To form a simple uniform seating section, we have selected the Modular sofa. The versatile contract grade furniture range offers a wide array of interesting layouts for any style of application and size. 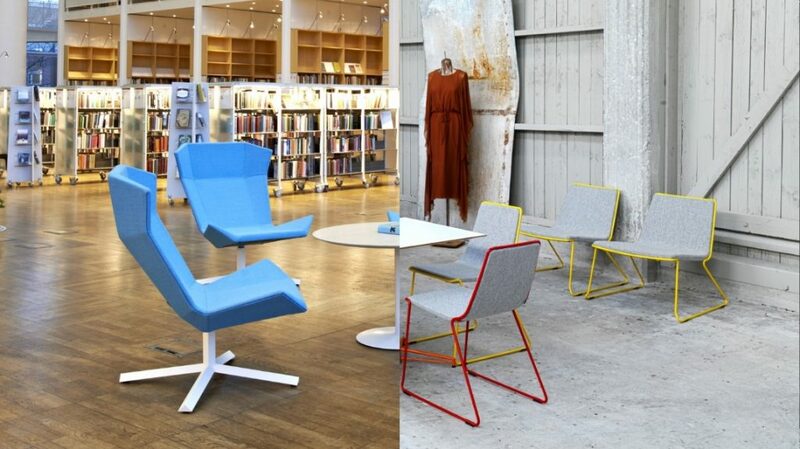 Choose from a broad choice of colours from either wool, leather or vinyl upholstery allowing the possibility of creating a contemporary look whatever colour palette is required. Create functional seating with the Malmo wood chair. 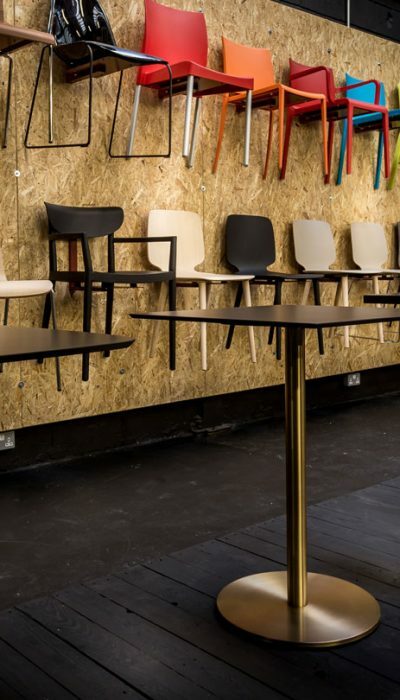 This chair offers a sturdy and attractive option with a durable solid wood frame and a plywood seat and backrest.The classic appeal of the chair along with its modern flair makes the Malmo cafe chair ideal for relaxing lobby areas. Situated in the northern part of Norway, the Scandic Ishavs Hotel rests on the banks of Tromsø over looking out to the Norwegian sea and surrounding mountains. Large floor to ceiling height windows allows guests to peer out to the mesmerising environments beyond the glass, within suave and sophisticated interiors. Featuring a comfortable lounge area, guests and visitors can sit back and take in the views with a warm drink or cool beverage from the bar. The low level relaxing sofas and armchairs sit within a large lobby that is also home to the hotel’s restaurant. Through a change in floor surface, the central zones have been given a separate identity without diluting from the main colour palette of deep greys, white and brass. Presenting formidable comfort, the Bernard sofa offers charming simplicity with it’s angled shape and slimline brushed steel base. The Bernard sofa comes in a selection of sizes including an armchair for varying lobby sizes. The upholstery options, fabric or leather, come in a multitude of colours and shades meaning the option for matching the sofa to the required colour is easier. Add comfortable armchair seating with the quaint Laj leather chair with armrests. The chair features high quality Italian leather upholstery on the back with a fine grain detail. 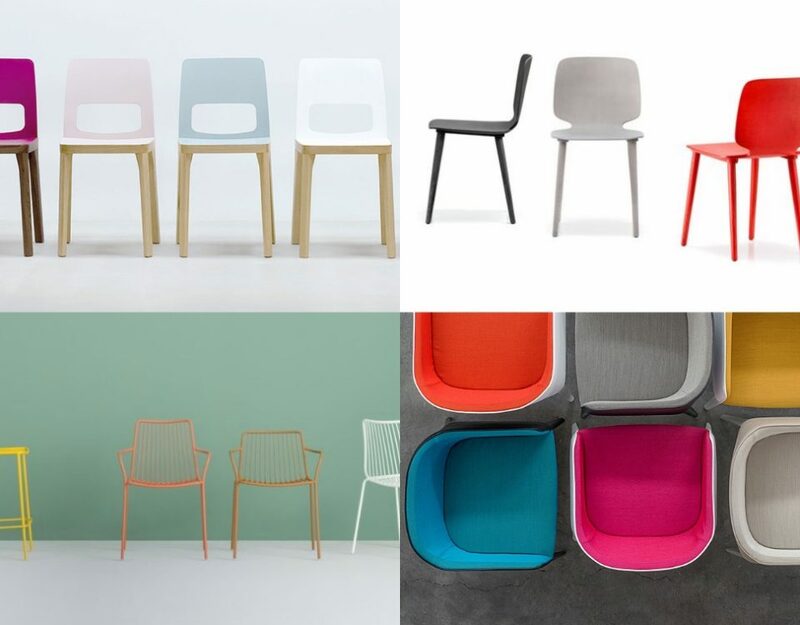 The contemporary chair presents a classical seating redesigned for up to date application. 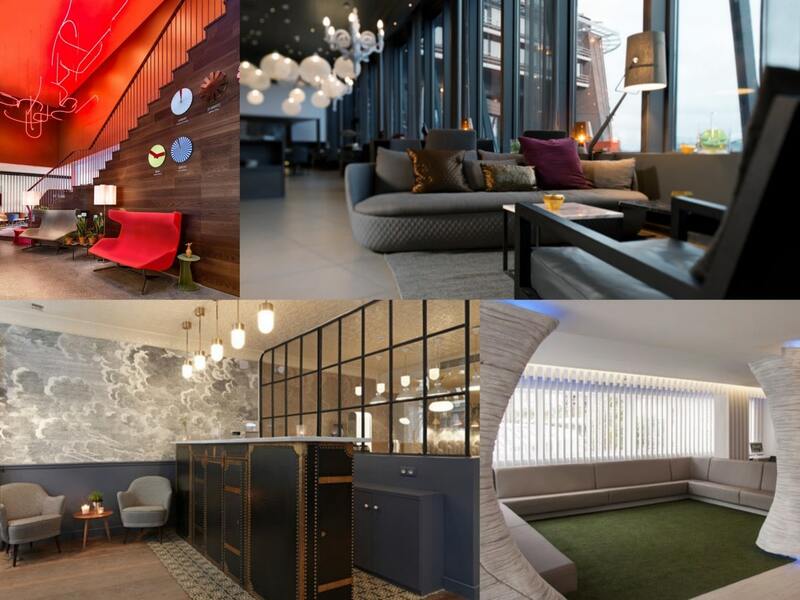 It’s playful, vibrant and full of life in each corner, the 25hour Hotel in Zurich West packs in the essence of Zurich culture within the walls of this mesmerising gem. The interior adopts a colourful mixture of patterns, colours and prints, with immediate inspiration taken from the host city. The main lobby offers guests a vibrant introduction to the hotel’s interior style. 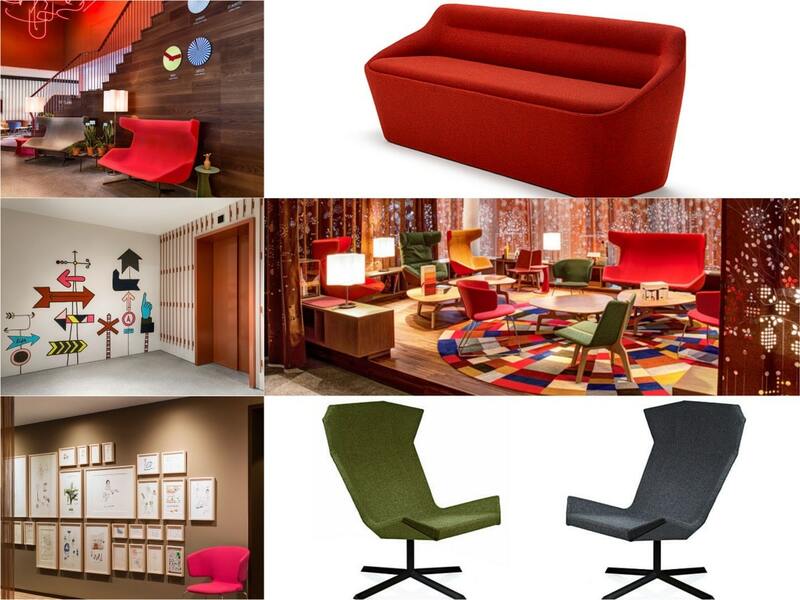 Especially designed furnishings adorn the reception and lobby space, featuring bright colours and a distinctive form. From small fine details to larger aspects, a very fine comb process has helped in creating a mirage of graphical artwork throughout. The space is inviting as it lures you into the spirited visual forms of the furniture aligned with stunning lighting fixtures and soft furnishings. With its distinctive form, the Stealth reception chair becomes an instant attraction for its seemingly comfortable form and angular shape. 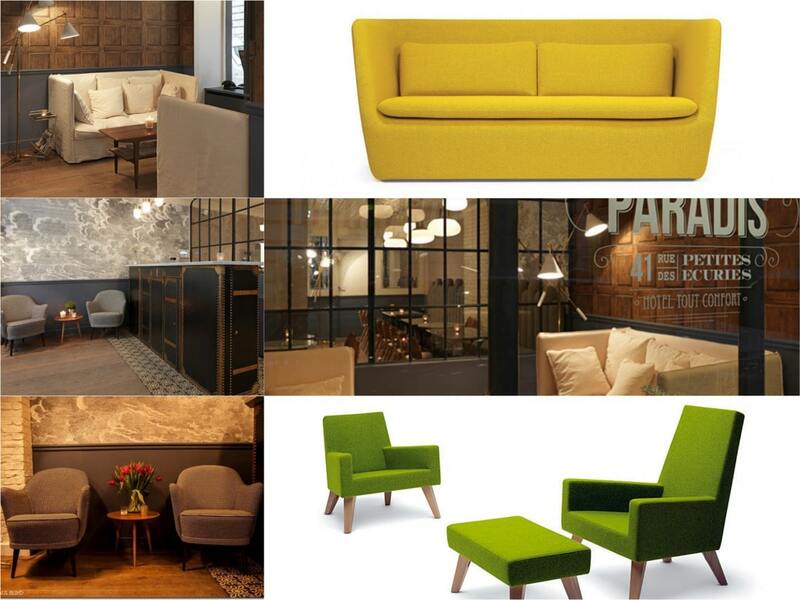 Choose from three upholstery options including fabric, leather and vinyl in a selection of colours to create a modern hotel lobby. 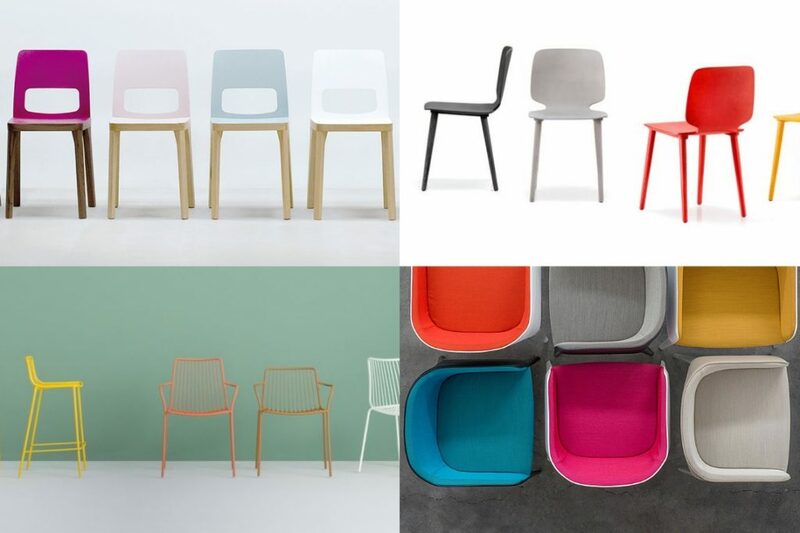 The star base comes in 64 bright colours meaning the entire chair can become an essential element. Complement the angular form of the Stealth chair with the Ezy sofa. 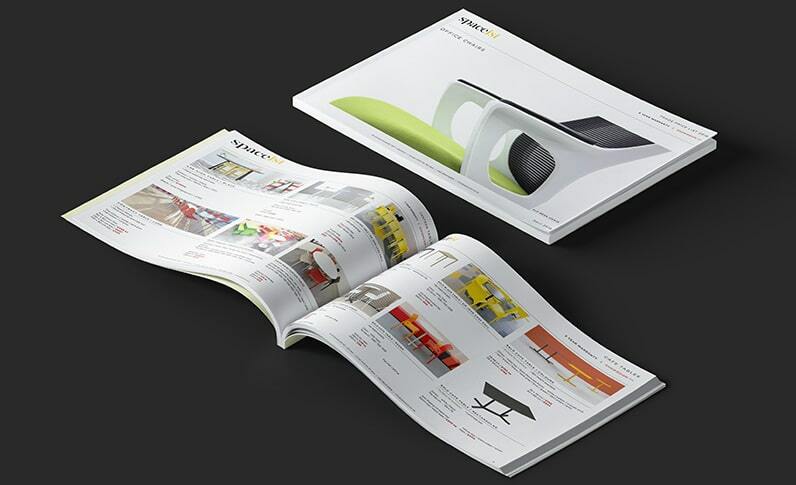 A designer style piece, the Ezy adds a playfulness in any application, especially when chosen in a bright colour. With a selection of sizes available, the sofa is ideal for use with a mixture of other furniture pieces.